Formula 1 protein drink mix, a balanced mix of vitamins and minerals, and other essential nutrients for health maintenance. It supports weight management ideal healthy while maintaining a feeling of fullness. We offer a flavor of five: Chocolate, vanilla and strawberry and to continue every day. You can choose from five flavors. And protein contained in the (about 25g) 1 serving is about 9g. Nutritional balance is good, and dietary fiber are also included. Soy protein contains about 9g (about 25g) 1 serving. Add spices and juice, let's create a Sheikh own recipes. Formula one of the main raw material is a dietary supplement that helps the diet while taking important nutrition is soy protein. Please have it dissolved in your favorite drink skim milk 240ml, soy milk, and juice, the Formula 1 of about 25g. If it is an object of the present invention diet, please replace Sheikh 2 meals a day. 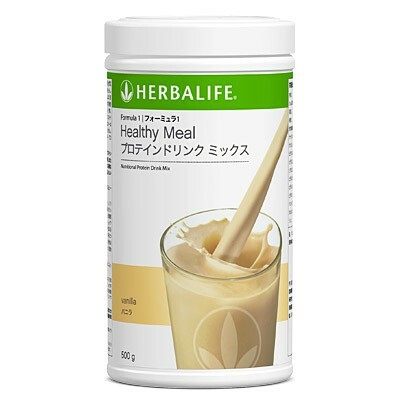 If it is intended to maintain health, or to replace the shake one meal a day, please decoy Shake along with regular diet. This protein drink mix can be mixed with almost anything very good.